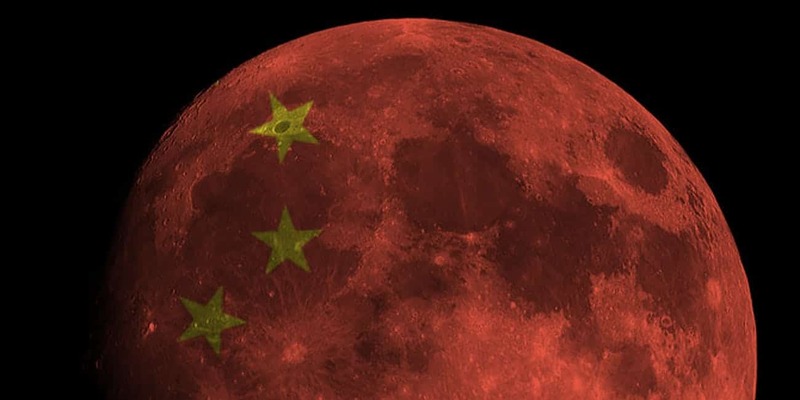 Home » China Is About To Launch A Daring Mission To Land On The Moon. So Why Do You Know Nothing About It? “The US is returning to the surface of the moon, and we’re doing it sooner than you think!” said Jim Bridenstine, NASA’s administrator, last week, while announcing commercial payload partners. However, it’s actually China that’s going to the moon sooner than you think. On New Year’s Eve, in fact, when may become the first country to land a probe on the undiscovered side of the moon. What is China doing on New Year’s Eve? Due to launch on December 8, 2018, from the Xichang Satellite Launch Center in southwest China, the China National Space Administration (CNSA) will soon after try to become the first space agency to land a robotic probe on the far side of the Moon. That’s expected to be attempted on December 31. Experts put the chances of its Chang’e-4 (CE-4) probe successfully landing at Von Kármán crater at only 50-50, but one puzzling fact remains. If NASA was doing this, the internet would be going crazy. So why isn’t it? Why does the rest of the world ignore China’s space program? When China starts landing on the Moon, and going to Mars, people are going to be amazed – Brian Harvey, author of China in Space: The Great Leap Forward. Why is Chang’e-4 do so groundbreaking? Landing on the moon’s far side means being out of direct radio contact with Earth. Since the moon is tidally locked to our planet, it rotates only once during its 29-day orbit, so we only ever see the same side of the moon. Just don’t think of it as the ‘dark side’ of the moon because there is no such place. The far side is as illuminated by the Sun as the near-side, it has identical phases. After landing in the VonKármán impact crater in the southern hemisphere of the moon’s far side, CE-4 will communicate via China’s Queqiao satellite, launched in May, that has a line of sight to ground stations in China, Argentina and Namibia. It will relay radio signals, and also send back TV images. However, CE-4 will have to perform the critical landing completely autonomously. It’s a risky plan. What science will CE-4 perform? The Von Kármán crater is a place that lunar scientists have long wanted data on. It’s the oldest impact crater in the entire solar system. It may contain water. CE-4, which consists of a lander and rover, will test for water, it will take photos, and it will also take radiation measurements. It will also use installed telescopes to make astronomical observations to test the theory that since the moon’s far side is away from Earth’s ionosphere, it will get unfettered images. Is China the next space superpower? Let’s get China’s CE-4 in perspective. NASA spends $35.9 billion each year on its space program. The European Space Agency (ESA), about $5.7 billion, and Russia a mere $3.2 billion. China spends just $4.9 billion. However, not only is China attempting to land on the far side of the moon this month, but its roster of future space missions also includes a Chang’e-5 lunar sample return mission next year, a new orbiting space station, the first satellite for space-based gravitational wave detection, and in the long-term, a mission to Mars. China has also been talking with the European Space Agency about collaborating on a human outpost on the moon. China isn’t the only Asian country with designs on the moon. The Indian Space Research Organisation (ISRO) will send its Chandrayaan-2 probe to the lunar surface in March 2019, complete with rover. ISRO and the Japan Aerospace Exploration Agency (JAXA) also recently unveiled plans for another mission to the moon, involving a lander and a rover. Will China’s moon landing be live on TV? The Chang’e-3 landing a few years ago was China’s first moon rover, and the first soft landing of a space probe on the moon in nearly four decades. It was broadcast live online by CGTN, Chinese state broadcaster China Central Television’s English language channel. CE’4’s pioneering mission is expected to also be televised globally.